Karen Brooks is Adjunct Professor, Global Human Development, at Georgetown University. 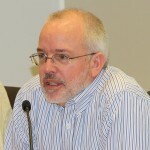 Dr. Brooks served as Director of the CGIAR Research Program on Policies, Institutions, and Markets, led by IFPRI, from July 2012 to August 2018. 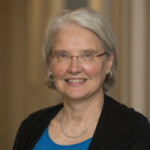 Prior to joining the International Food Policy Research Institute in 2012, she worked for many years on the agricultural programs of the World Bank, with emphasis on Africa South of the Sahara and the agricultural transition from central planning in Eastern Europe and Central Asia. She has also taught in the Department of Applied Economics at the University of Minnesota. Karen holds an undergraduate degree in Political Science from Stanford University, and a PhD in economics from The University of Chicago. She has published on issues related to agricultural policy in centrally planned economies, price and land policy in countries transitioning from planned to market economies, and the challenges of youth employment in Africa south of the Sahara. Keith Wiebe is Senior Research Fellow at the International Food Policy Research Institute in Washington DC, where he leads a research program on Global Futures and Strategic Foresight. Prior to joining IFPRI in October 2013, he was Deputy Director of the Agricultural Development Economics Division of the United Nations Food and Agriculture Organization in Rome, where he managed a program of economic research and policy analysis for food security and sustainable development, and helped coordinate preparation of FAO’s annual flagship reports on the State of Food and Agriculture and the State of Food Insecurity in the World. Previously he was Deputy Director of the Resource and Rural Economics Division of the US Department of Agriculture’s Economic Research Service in Washington, DC. He received his B.A. in economics from Carleton College, and his M.A. and Ph.D. in agricultural economics from the University of Wisconsin-Madison. His areas of particular interest include land tenure, natural resource use and conservation, agricultural productivity and food security. Youth are the strength and future of any nation. Despite their bright initiative and strength, they are in most African countries vulnerable to the effect climate change and also contribute to activities that fuels the change. It is therefore imperative to train them on climate smart approaches. This will enhance food security and sustainable development.